Is The Verenti Mesh Deore Mountain Bike As Versatile And Capable As Riders Hope? The Verenti Mesh Deore Mountain Bike immediately tries to stand out as an interesting option by promoting itself as an improvement on previous models. This model uses a 6061 alloy frame, Rockshox forks and other high end components to ensure that buyers get a more reliable, capable ride wherever they choose to go. This 29er should provide riders with a new way of getting around with those strong stable wheels and Continental Race King 29 x 2.2″ tyres and there is a definite sense that this is about more than mountain biking. What benefits have buyers mentioned in their reviews for this Verenti 29er? There are some great reports in online reviews about the performance of this bike on the trails. The quality of the components comes through very quickly and there are also users talking about the comfort they have experienced. The Verenti mountain bike is light and agile, with its 11.9 kg Hydroformed 6061 Aluminium 29er Mesh frame, and sends keen mountain bikers tearing through their favourite tracks with ease and an added level of enjoyment. 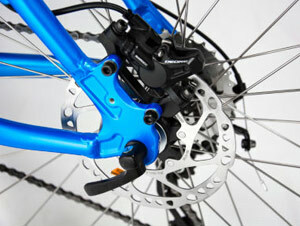 There is also the added benefit of the double bottle cage mounts. This bike is clearly an off-road model that is built for the trails, but that doesn’t mean that it can’t handle the roads and tarmac as well. The responsive nature of the bike means that it is able to handle changes in the surface and conditions with ease and there are positive comments about the hydraulic disc brakes and 30 gears on the Shimano Deore shifter. The stand out feature for many is the adjustable suspension because this allows for those smooth transitions between functions and greater versatility, as well as that impressive comfort. 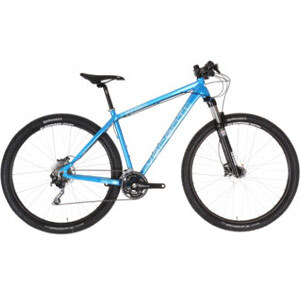 Are there any downsides to choosing this Verenti Mesh Deore Mountain Bike? The negative comments for this bike are pretty minor, to the point where even the pedals and saddle seem to be OK. The style of the bike and the options it provides can mean that it can take some getting used to. There are some buyers having temporary issues with the handling of the tyres and simply taking their time to learn what this bike can do. There are also comments from a few riders about the limited colour choices that are available. It is an attractive bike with a nice shape, but the frame is a very striking shade of blue that may not appeal to everyone. Summary: does this lack of negativity mean that the Verenti Mesh Deore is highly recommendable? This is clearly a highly recommendable option for any keen mountain biker because not only does the product appear to have delivered on the attempts to provide a greater performance in this new version, there is a sense of versatility and reliability that goes beyond a lot of buyer expectations. It may not have the look that everyone is after and it may take a little practice to learn the capabilities, but there is a lot to love with this Verenti bike, especially if you want to test out new routes and new terrains over long distances.